Too many leaders have been conditioned to think of leadership only in terms of power and control. 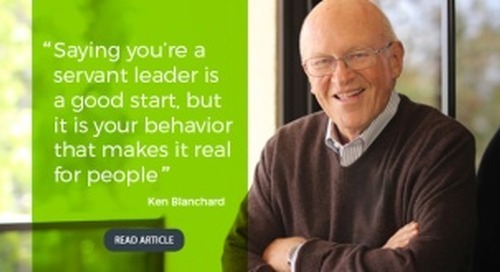 But there is a better way to lead, says best-selling business author Ken Blanchard—one that combines equal parts serving and leading. This kind of leadership requires a special kind of leader: a servant leader. Many organizations and leaders get into trouble during implementation, warns Blanchard. Blanchard suggests that leadership, learning, and talent development professionals correct this situation by philosophically turning the traditional hierarchical pyramid upside down—putting customer contact people at the top of the organization and top management at the bottom. The next step, according to Blanchard, is to align policies, practices, direction, and support to remove barriers for the people who are taking care of customers. 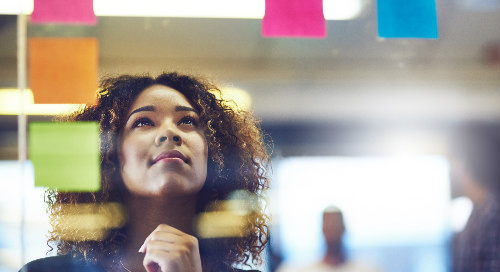 This high-investment approach to talent management is designed to bring out the best in everyone. 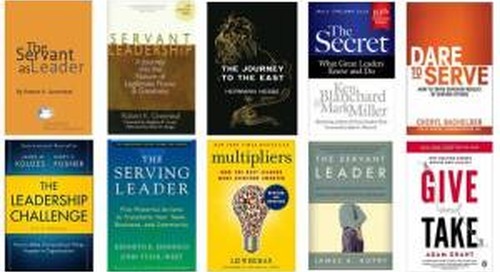 In looking back at all of the organizations he has worked with over the years, one of the most persistent barriers to more people becoming successful servant leaders is a heart motivated by self-interest, says Blanchard. “As a leader, you must ask yourself why you lead. Is it to serve or to be served? Answering this question in a truthful way is so important. You can’t fake being a servant leader. I believe if leaders don’t get the heart part right, they simply won’t ever become servant leaders. An Old Model for a New World of Work? 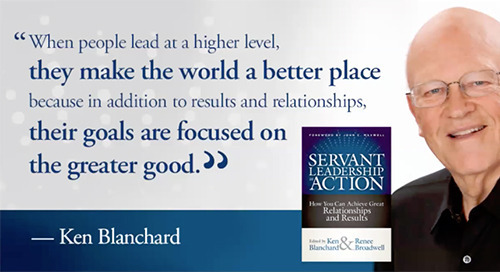 Blanchard explains that leaders with a servant heart thrive on developing people and helping them achieve their goals. They constantly try to find out what their people need to perform well. 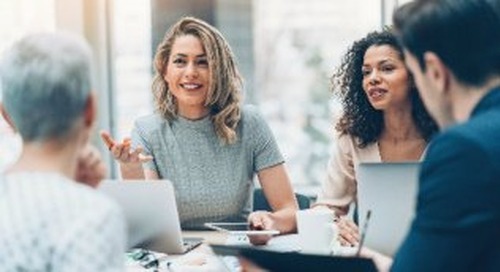 Being a servant leader is not just another management technique. It is a way of life for those with servant hearts. It is much easier for people to see the importance and relevance of servant leadership today than it was back then, says Blanchard. 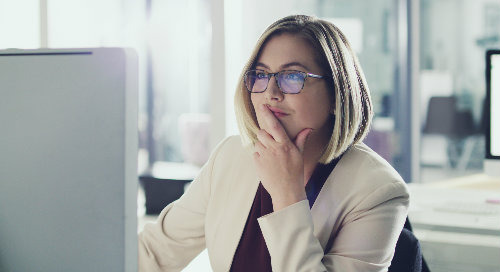 “Today when people see you as a judge and critic, they spend most of their time trying to please you rather than accomplishing the organization’s goals and moving in the direction of the desired vision. ‘Boss watching’ becomes a popular sport and people get promoted on their upward-influencing skills. That role doesn’t do much for accomplishing a clear vision. People try to protect themselves rather than move the organization in its desired direction. A few years ago, Blanchard received a letter from a man in New Zealand with a line that he believes sums up his leadership philosophy. “The man wrote that he felt I was in the business of teaching people the power of love rather than the love of power. Would you like to learn more about creating a servant leadership culture and leading at a higher level? 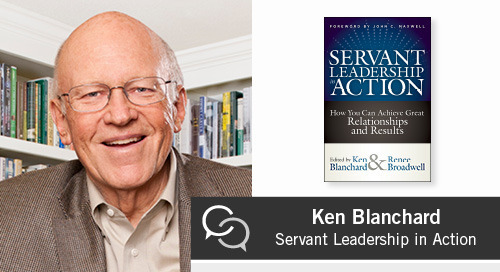 Join us for a free webinar with Ken Blanchard! Set your sights on the right target and vision. Great organizations focus on three bottom lines instead of just one. In addition to financial success, Ken will share how leaders at great organizations measure the satisfaction and engagement levels of their employees as well as their customers. Treat your customers right. To keep your customers today, you can’t be content to just satisfy them. Ken will share how to create raving fans—customers who are so excited about the way you treat them that they want to tell others. Treat your people right. You can’t treat your people poorly and expect them to treat your customers well. Ken will share how treating your people right includes setting clear, meaningful goals, providing day-to-day coaching, and finally, setting up performance reviews so that there are no surprises. Develop the right kind of leaders. The most effective leaders recognize that leadership is not about them and that they are only as good as the people they lead. Ken will share how servant leadership principles can guide the design of your leadership development curriculum. Ready to take your organization to the next level? Don’t miss this opportunity to explore how to create an others-focused culture and leadership development strategy based on the principles of servant leadership. 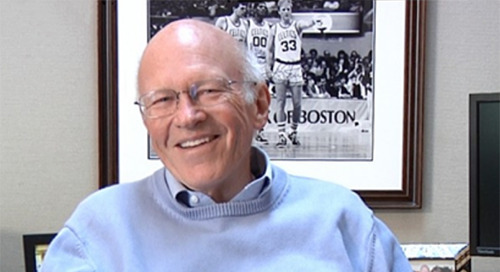 The event is free courtesy of The Ken Blanchard Companies.